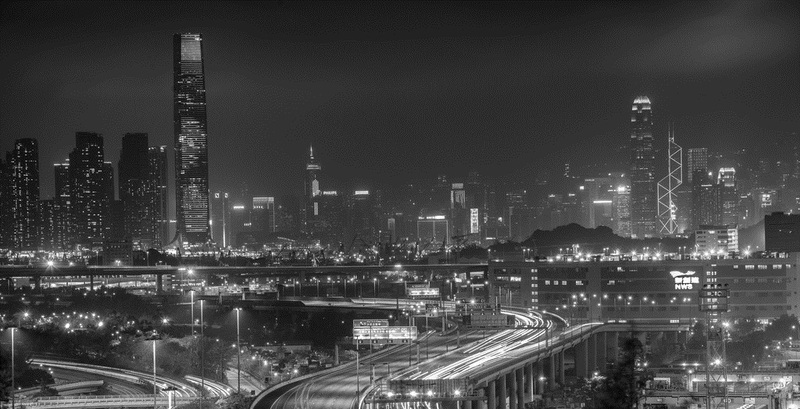 The much anticipated Mainland-Hong Kong Mutual Recognition of Funds Initiative (MRF) will be launched on 1 July 2015 with a total investment quota of RMB 600 billion following a Joint Announcement made by Hong Kong’s Securities and Futures Commission (SFC) and the China Securities Regulatory Commission (CSRC) on 22 May 2015. The two regulators have signed a Memorandum of Regulatory Cooperation on Mainland-Hong Kong Mutual Recognition of Funds which will allow Mainland and Hong Kong funds authorised for retail distribution in their home jurisdiction to follow a streamlined procedure to obtain authorisation for retail distribution in the other market. The initiative does not permit funds authorised for retail distribution in their home market to be privately placed in the other market. The MRF represents a further step in the opening up of Mainland China’s capital market and follows the success of the Shanghai-Hong Kong stock connect programme launched in November 2014. The stock connect programme allows international investors to trade Shanghai-listed A-shares through Hong Kong and Chinese investors to trade Hong Kong-listed shares and is set to be replicated between Shenzhen and Hong Kong in the coming months. The MRF’s initial investment quota will be RMB 300 billion for in and out fund flows each way. The SFC has prepared the “Circular on Mutual Recognition of Funds between the Mainland and Hong Kong”4 (the MRF Circular), while the CSRC has issued the “Provisional Rules for Recognised Hong Kong Funds”5 in Chinese. These two documents set out the eligibility criteria, the procedures for application, the operational requirements and the MRF’s regulatory arrangements. They form the basis for regulation and enforcement of the Mainland-Hong Kong Mutual Recognition of Funds initiative. Generally, if a Mainland fund complies with the relevant Mainland laws and regulations, it will be deemed to comply in substance with the relevant SFC requirements for authorisation for offering to the Hong Kong public and a streamlined authorisation process will apply. Mainland funds that are eligible for SFC authorisation or have been authorised by the SFC are referred to as “Recognised Mainland Funds”. The Mainland-Hong Kong Mutual Recognition of Funds initiative may be extended to include other fund types in the future. the value of the fund’s shares/units which are sold to investors in Hong Kong must be 50% or less of the value of the fund’s total assets. Operational and on-going compliance requirements set out in the UT Code apply to Recognised Mainland Funds authorised under the Mainland-Hong Kong Mutual Recognition of Funds initiative. Recognised Mainland Funds must remain registered with the CSRC for offering to the Mainland public and be subject to the CSRC’s on-going regulation and supervision. Where the constitutive documents provide for dispute resolution by way of litigation, the Recognised Mainland Fund’s manager must ensure that the Hong Kong courts are not excluded from entertaining an action concerning the fund. If there is a breach of Mainland laws and regulations or of the MRF Circular requirements, the fund manager must notify the CSRC and the SFC at the same time and rectify the breach promptly. If after being authorised by the SFC, a Recognised Mainland Fund ceases to meet the requirements of the MRF Circular, its manager must immediately notify the SFC. The Recognised Mainland Fund cannot then be marketed to the Kong Kong public and new subscriptions must not be accepted. Recognised Mainland Funds must be sold or distributed in Hong Kong by intermediaries who are licensed by or registered with the SFC and in compliance with Hong Kong’s laws and regulations on fund distribution. The SFC encourages applicants to consult the Investment Products Division of the SFC for clarification and guidance as to how relevant requirements will apply. Further details of the MRF application process for a Recognised Mainland Fund seeking SFC authorisation for offering in Hong Kong are set out in the Information Checklist25 available on the SFC’s website. 1 The Financial Times. “Hong Kong-China Mutual Fund Recognition Scheme Reveals Quotas”. 31 May 2015. 2 Charltons. “The Licensing Regime under the Securities and Futures Ordinance” at //www.charltonslaw.com/hong-kong-law/the-licensing-regime-under-the-securities-and-futures-ordinance/. 3 Charltons. “FSTB Consults on Open-ended Fund Company Structure”, April 2014 at //www.charltonslaw.com/fstb-consults-on-open-ended-fund-company-structure/. 4 Circular on Mutual Recognition of Funds (MRF) between the Mainland and Hong Kong. 22 May 2015. Available at: http://www.sfc.hk/edistributionWeb/gateway/EN/circular/doc?refNo=15EC29.